Fill a Kiddush cup with wine or grape juice. observing Shabbat throughout the ages as a covenant for all time. 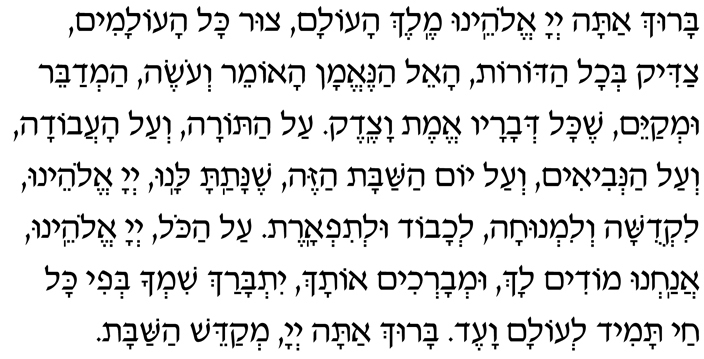 Al kein beirach Adonai et Yom HaShabbat vay’kadsheihu. Therefore Adonai blessed the day of Shabbat and hallowed it. Drink the wine or grape juice. for Your people Israel and for prophets of truth and righteousness. b’fi kol chai tamid l’olam va-ed. Let us declare the greatness of our God and give honor to the Torah. 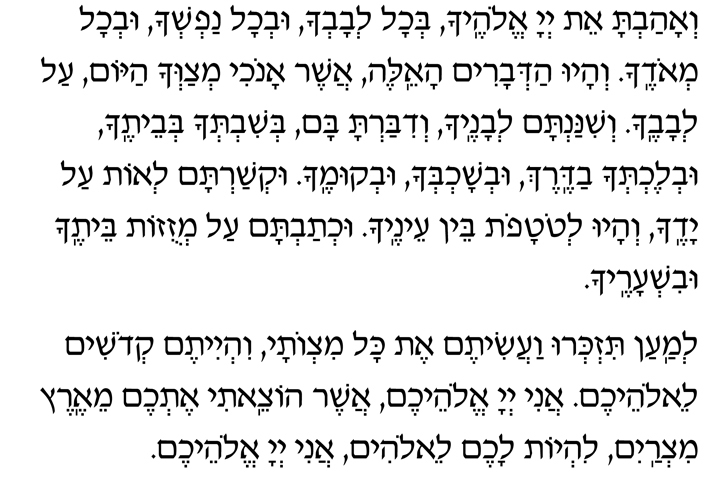 Baruch Adonai ham’vorach l’olam va-ed. 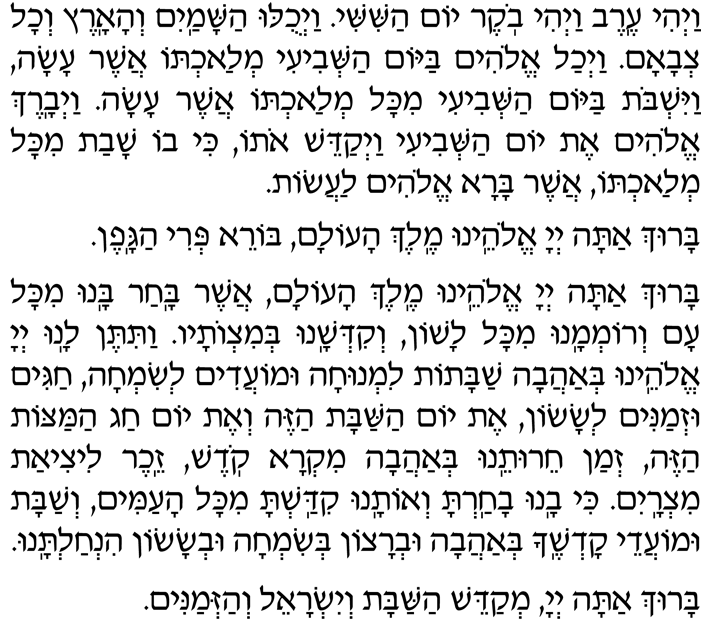 Baruch atah, Adonai, notein haTorah. among the peoples, and given us the Torah. Blessed are You, Adonai, who gives the Torah. who has given us a Torah of truth, implanting within us eternal life. Blessed are You, Adonai, who gives the Torah. 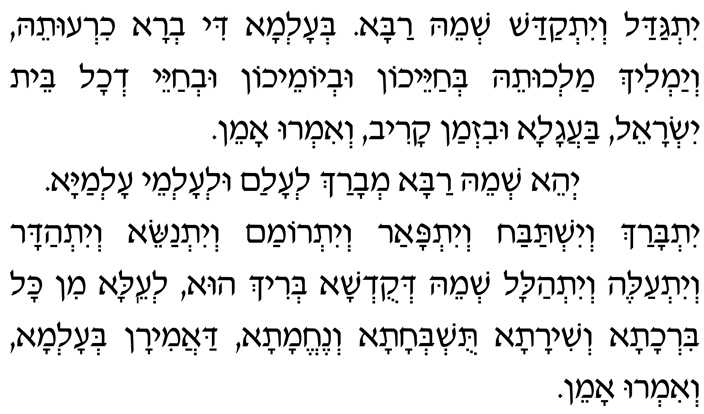 Version of the Kaddish, praising God, that serves to delineate different sections of the service. From Exodus 31:16-17, this prayer reminds us that we keep the Sabbath as a sign of the covenant with God. It is a sign for all time between Me and the people of Israel. will rejoice in Your realm. 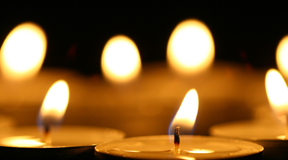 The people that hallow Shabbat will delight in Your goodness. as the most precious of days, drawing our attention to the work of Creation.